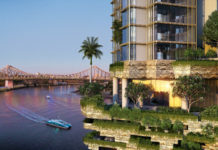 Mary 111 Pty Ltd, a company owned by Brisbane businessman Sam Chong has submitted a new DA for a 38 storey five star hotel and apartment tower located at 111 Mary Street. 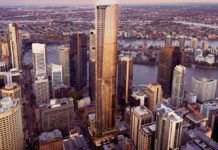 The tower, which has been designed by Woods Bagot consists of 4 podium levels, 13 levels of hotel rooms and 20 levels of apartments. Rising 135m AHD high, the tower has total of 286 hotel rooms, comprising 20 rooms and 2 suites per hotel floor.  A total of 167 apartments are also proposed, which is made up to 36 one bedroom apartments, 95 two bedroom apartments and 38 three bedroom apartments. 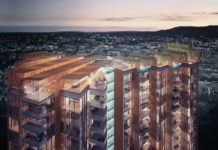 The hotel podium levels accommodate a large pool deck with swim up bar, gym, day spa, function venue, restaurant and bar, business and executive lounges as well as ground floor retail and restaurant space. The apartments are serviced by a rooftop resident’s recreation deck on level 38 which accommodates a pool, gym, BBQ and function area. The tower form has been redesigned completely to create a predominantly vertical articulated tower expression overlain with a horizontal articulation. 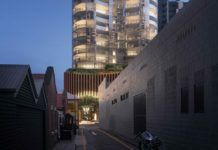 The strong intent is a building that fully engages with the city at the street level as well as contributing significantly to the urban context. A building form that recognises the texture and grain of the street and breaks the overall scale of the tower frontage down into individual components. The development has been designed with two porte-cochere driveways. One ground level porte-cochere as well as a basement porte-cochere lobby to maximise street activation on ground level. It is not yet known what hotel operator will run the five star hotel component of the building. The DA number for this development is A004136986.